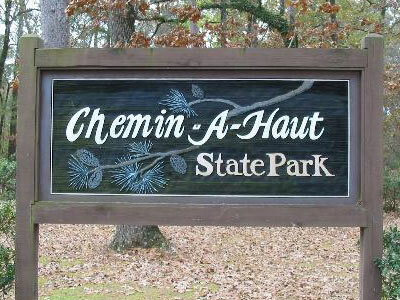 Chemin-A-Haut State Park is situated on a high bluff overlooking Bayou Bartholomew and is a natural paradise for lovers of unspoiled beauty. This 503-acre site takes its name from the French word meaning “high road,” which was the route used by Native Americans many years ago in their seasonal migrations. Directions: The park is located about 10 miles north of Bastrop. From Monroe, take either US 165 or LA 139 north to Bastrop. From Bastrop, Take US 425 north to LA 1257 (Loop Park Road). 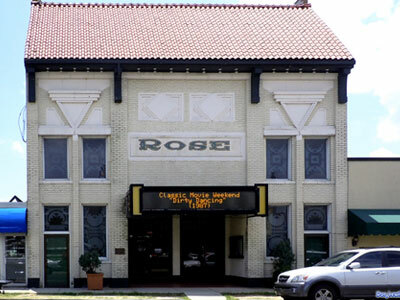 The Rose Theater was built in 1927. As a movie theater, the Rose Theater closed in the 1970’s. 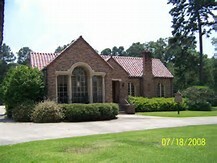 The theater was reopened in 1985 as a community theater and today it is home to the Cotton Country Players. team penning, livestock exhibitions and more. The facility can also accommodate other type events such as arts & crafts exhibits, circuses, band concerts, tractor pulls, and other large scale events. Country Inn © 2019. All right Reserved.